Let us Celebrate Pastor George During Pastor Appreciation Month! Pastor George and his wife Jyothi are Poppa and Momma to more than 130 children at four New Hope Orphanages. Through his faithfulness and obedience to the lord, Pastor George dedicated his life to orphan ministry, and has helped transform the lives of thousands of people. Other ministries of Pastor George and Helping Hands India include widows aid, children's church camps, pastoral training, and church planting. Pastor George finds his greatest happiness in serving the lord and bringing others to experience the joy that can only be found through Jesus Christ. He has made incredible sacrifice for the children God entrusts in his care and is a true testament of what it means to trust in the lord. In a country with no social safety net, Pastor George lives on faith. 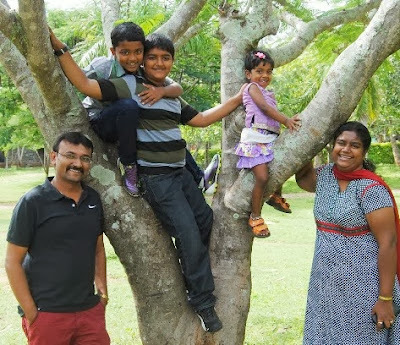 He and his family have made incredible sacrifices to serve the needs of India's orphans. The cliche that he would "give the shirt off his back" is not strong enough to describe the heart and generosity of Pastor George. Pastor George takes no more than he and his family require. They do not find joy in material objects, but find ultimate joy in serving others. Pastor George's generosity is so great that he recently moved his wife and children from their own home in order to provide a better living space to orphans in their care. We cannot think of anyone more deserving to be recognized this Pastor Appreciation Month than Pastor George and are so grateful for all he does! If you would like to bless Pastor George and his family with a gift or love offering this Pastor Appreciation month, please click the icon below and enter "Pastor Appreciation Gift" in the notes field.